Mark Donald Law is a boutique litigation firm that specializes in the resolution of disputes for individuals, families, businesses and corporations. This includes corporate and commercial litigation, social justice and human rights issues, libel and defamation, administration and regulatory litigation, bankruptcy, mortgage & real estate litigation. Litigation can be complex and exhaust your resources. Litigation can be complex and exhaust your resources. Find out what your options are. Mark Donald Law provides optimal solutions to complex legal issues through the pursuit of unrelenting excellence and high-quality, results-oriented advice and trusted counsel. We provide only superior litigation and advocacy. We measure ourselves by our results. If you have a high-stakes dispute and require legal advice involving litigation, libel and defamation, Social justice and human rights, shareholder and partnership disputes–we should talk. MDL recognizes that litigation can be difficult and may take a long time to resolve. Mark Donald Law believes in being forthright and truthful about attaining client’s goals. MDL will recommend the best solution for your issue and negotiate or litigate with the same diligence and work that reflects our best efforts. Mark has argued before the Ontario Superior Court, the Ontario Divisional Court and the Ontario Court of Appeal in numerous, diverse disputes. He has also argued before numerous administrative/regulatory boards, including the Canadian Memorial Chiropractic College, the Human Rights Tribunal of Ontario, and the Landlord and Tenant Board of Ontario. Mark possesses an extensive background in civil liberties, media law and human rights litigation. 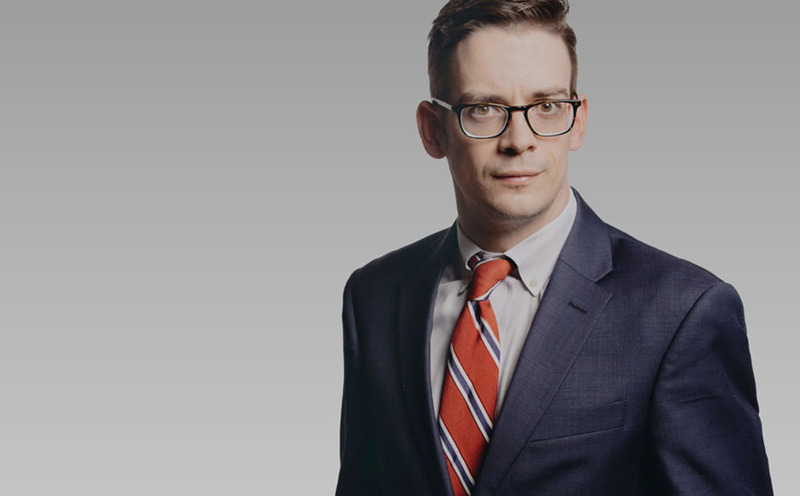 As former summer law student at the Canadian Civil Liberties Association, Mark was on the front lines of the 2010 Toronto G20 protests, and represented the CCLA’s position on the CBC. Armed with this experience, Mark maintains an active practice involving defamation and online harassment matters. Mark has been called to the Bars of Ontario and has practiced in Nunavut. Commercial litigation involves legal disputes between companies, businesses and individuals related to areas including– breach of contracts, preservation of assets, fraud, shareholder-partnership and director disputes, libel, defamation, social justice and human rights. Human rights laws prohibit discrimination and harassment related to race, colour, ancestry, religion, ethnic origin, sexual orientation, age, marital or family status and other related areas. The law of defamation holds that for a publication to be legally libelous, a court must be convinced that the average person on the street hearing/reading the statement would think less of the plaintiff to whom the statement refers. Business partners don’t always get along. Disputes can be damaging and disruptive to companies, shareholders, and employees. That’s why they need to be handled quickly and effectively to minimize possible damage and financial ruin.